Candies glazed with chocolate glaze, ofrectangular form. Jelly body on the basis of pectin with the addition of natural fruit juice, with the taste of black currant. 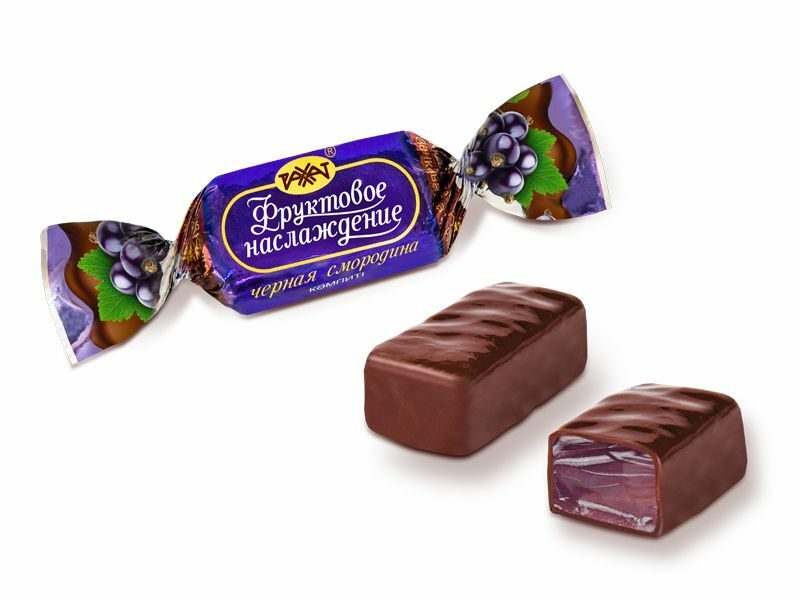 Ingredients: sugar, glucose syrup, cocoa mass, water-holding agents: sorbitol, «Vanilla»; cocoa oil, gelling agent – pectin; neutralizer – citric acid; natural fruit juice, stabilizer – sodium citrate; emulsifiers: soy lecithin, Е476, Е492; aromatizers are identical to natural, food colouring agent – concentrate of carrot and hibiscus. Storage life is 6 months.